Valentines day is coming up and we all know what that means. Valentine's is one of the only times you can wear a ridiculous amount of pink and no one judges you! One way that I like to incorporate some pink is through nail polish. I am pretty much a nail polish junkie so I thought I would share my favorite pink colors out of my collection! China Glaze in Exceptionally Gifted. I am actually wearing this color today. This is actually a little pinker than in the picture. The cool thing about this color is the weird shine it gets. When it dries it is almost like a metallic except without any silver tones like you would expect, it's just very very shiny. One tip with this color is that you must buff your nails before using it. 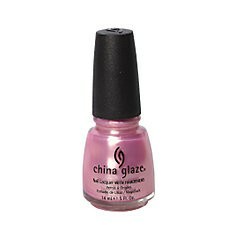 Because it is sooo shiny it is going to highlight any type of rough places on your nails. You must have a smooth canvas to pull this color off. Essie in Fiji. I like this color a lot. It is super pigmented so you don't need more than two coats, and honestly you could get the job done with one coat. One thing that I don't like as much about this color is that it has a lot of purple tones to it and my skin tone really pulls them out. Essie in Funny Face. This is the ultimate barbie pink. It looks exactly like the picture. It is also very pigmented and one coat is more than enough. Also this is a flat color. As much as I love pink and sparkles, I sometimes feel that for fingers this vibrant of a color along with sparkle is just a little much. Since this is flat it vibrant but not overpowering. OPI in Divine Swine. First of all, I am freaking in love with that name. 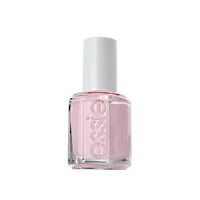 This is from the Muppet's collection and it is Miss Piggys color... get it, Divine Swine!?! Anywho, this is a very chunk glitter polish with a clear base color. So it goes really well on top of a magenta or purple color. However because they paired big glitter with little glitter you can do about three coats and it looks like a solid glitter nail with no base needed. Versatile and beautiful! OPI in Princesses Rule. This color is has way more sparkle to it than what is picking up in the photo. This is really more of a glitter polish with a light base color. It is not very pigmented and it will take several coats to completely cover your nail. Besides that it is an amazing color and the light pink color is so pretty. OPI in Blushingham Palace. Another name that I am in love with. This is a really really pretty demure color. It has a brown tint to it but it doesn't muddy up the pink color at all. This is a more grown up shade. Definitely something you could wear to an interview or meeting. ORLY in Oh Cabana Boy! The color on this is alittle more vibrant and neon than what is picking up. It has a purplish blue tint to it that is really really pretty. I struggle over whether I think that this color is appropriate for fingernails or not. I have worn on my fingernails but I think it really only works in the summer when I am pretty tan and you can get away with really really bright colors. 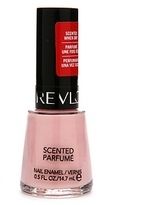 Revlon Scented Parfume in Cotton Candy. OK if you have never tried the Revlon scented polishes get out there and buy some. These things are amazing. They are really strongly scented and they smell GOOD! This one smells exactly like cotton candy, like its almost weird how much. That alone would make me love this polish. However the color is also really good. It dries a really really pale pink with slight gold iridescence. It can be tricky to get this one to dry correctly. For some reason the polish is really thick and if you aren't careful this will get clumpy and thick on your nails. I still love this polish and I haven't had this problem with the other scented polishes that I have. 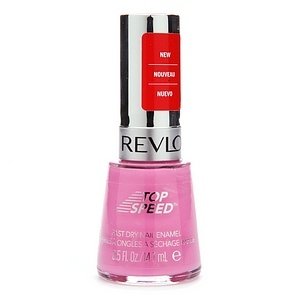 Revlon Top Speed in Cupid. 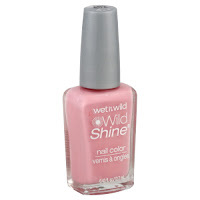 This is a really really great color and it does dry really fast. 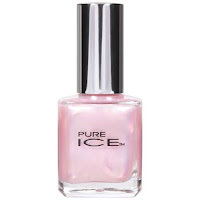 This is not some sort of miracle drying polish though, so do not buy it just for the drying. This color is amazing. It is a very pretty medium pink that has some hints of lavender in it. While it has some purple undertones it is a very true pink. Very very pretty. 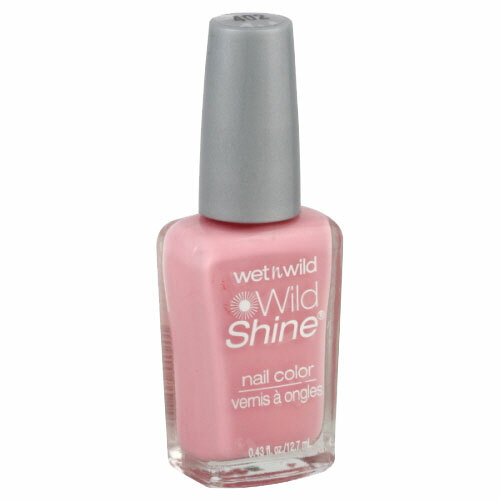 Wet n Wild Wild Shine in Tickled Pink. I bought this polish on a whim just because it was so cheap and the color looked good. I was amazed at the quality of this polish. I would put it up against any of my OPI and Essie colors. I wear this color as a pink neutral. This color is only slightly pinker than my natural nail color and it looks great as an everyday. It is super pigmented and I really only need one coat. This is a must have. 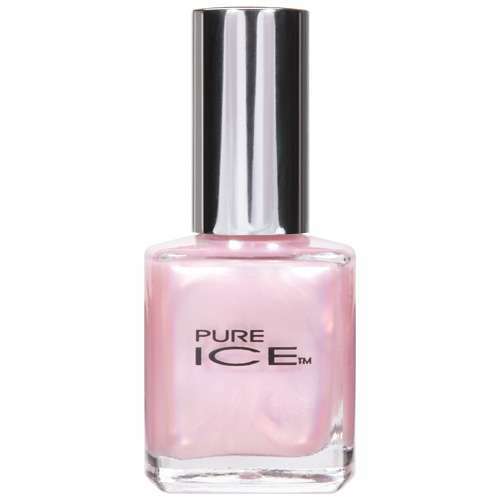 Pure Ice First Love. I could not really find a good picture of this polish. In reality it is a super super super light pink to the point where it is almost white. It has the prettiest pink pearl iridescence to it that has some pink and gold and a little bit of teal in it. This is a hard polish to wear because it takes a lot of coats. But it is worth it because the color is so pretty. Ok now I gotta go because I feel the need to redo my nails!! !